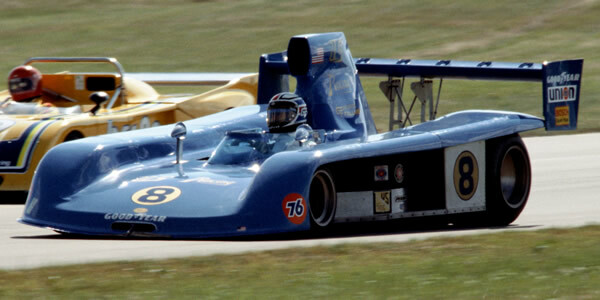 Can-Am became a little more competitive in 1978 with the emergence of U.S. Racing's Prophet and the Newman-Freeman Racing team's Spyder, both highly professional conversions of the ageing Lola T332 design. Alan Jones had taken over the Haas car and was dominant, starting from pole at all nine races he attended and winning five races. Lola customers took the next championship places, Warwick Brown in the VDS Lola and Al Holbert in the Hogan car, but Elliot Forbes-Robinson won two races in the Spyder and George Follmer won one in the Prophet. The veteran Follmer even took pole at Laguna Seca, the one race Jones didn't attend, but crashed and could not start the race. These five were well ahead of the rest but John Morton's progress with an increasingly modified Lola T333 warranted some attention. Much was expected of Shadow's DN10, a conversion of a F1 car, but it was entirely uncompetitive. Vern Schuppan's Elfin also disappointed.